Dacromet process mainly in which areas of application _ industry knowledge _ Xinxiang Chui Auto Parts Co., Ltd. The front-end time, we have more understanding of the use of Dacromet, Dacromet in the metal surface processing advantage is very obvious, improve the product's anti-corrosion performance. We've learned the advantages of the technology, so what are the areas where the technology is applied? The scope of application of Dacromet is very extensive and is applied in many aspects of our daily life. Including the treatment of steel, iron, aluminum alloy, can also deal with sintered metal, involved in the field is quite a lot, car motorcycle this product because it is a high-speed vehicle, its components require good stability, heat, moisture and corrosion resistance high. 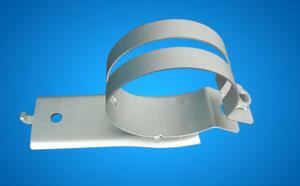 Bridge viaduct, highway metal pieces, a bridge, a high, a highway are permanent buildings, allocate, quality-oriented. Highway waveform Protection Bar, elevated, bridge metal components, fasteners, etc., due to long-term outdoor rain and rain, rust soon occurred. The key structural parts and fasteners are not only safe and reliable, but also durable in appearance if they are coated with Changzhou technology. Metal and structural parts for transmission and distribution, high-voltage transmission and distribution, urban power supply, the line of the Iron tower, pole metal parts, transformer shell, high-voltage switch connection system, etc., if the use of the Rockwell coating treatment, although a greater investment, but beautiful and durable, once and for all, saving a large number of years of maintenance costs. It seems that our technology design to the area is still very much, these years we are in the Dacromet in-depth research, give full play to the larger use of the range.